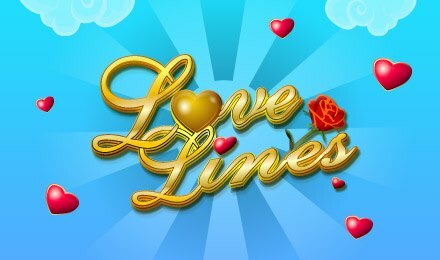 Love Lines | Play The Best Scratch Cards Online Today! Feel the love when you play Love Lines scratch card online! Scratch & Match 3 Heart symbols in a row and win massive Jackpots! Play now for your chance to WIN instant cash prizes! Get lucky in love and play Love Lines scratch card! There are mega prizes to be won when you scratch and match this online scratch card at Wicked Jackpots! It’s easy to play and you'll win your prize instantly! Click on the Prize Heart to reveal a cash prize amount! This amount is a random multiplier times your bet. Then all you have to do is click all 9 squares to reveal the symbols. To win the amazing cash jackpot, get 3 matching symbols in any direction, vertical, horizontal, or diagonal. Love Lines is one of the best scratch cards online! Play now to win the massive jackpot!